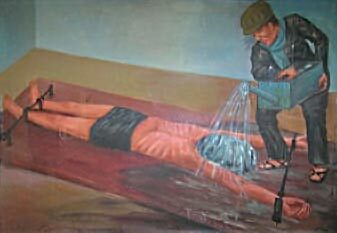 Waterboarding in Cambodia during the Khmer Rouge regime. Painting by former prison inmate Vann Nath at the Tuol Sleng Genocide Museum. Last week the Department of State released the “Zelikow Memo,” in response to a National Security Archive FOIA request. While less than the stalwart, principled, statement of righteous indignation against the United States’s use of torture that some have claimed, the memo does show that some within the Bush administration knew that the CIA’s practice of torture was illegal –and said so. We also know that the White House tried to have this view suppressed. As Philip Zelikow, the memo’s author, said in an interview, “Obviously, you want to eliminate records because you don’t want people to find them.” Fortunately, thanks to the Freedom of Information Act (and diligent and law-abiding records keepers from the Bureau of Intelligence and Research), those who wish to know the unvarnished history of “The War on Terror,” can come closer to doing so. 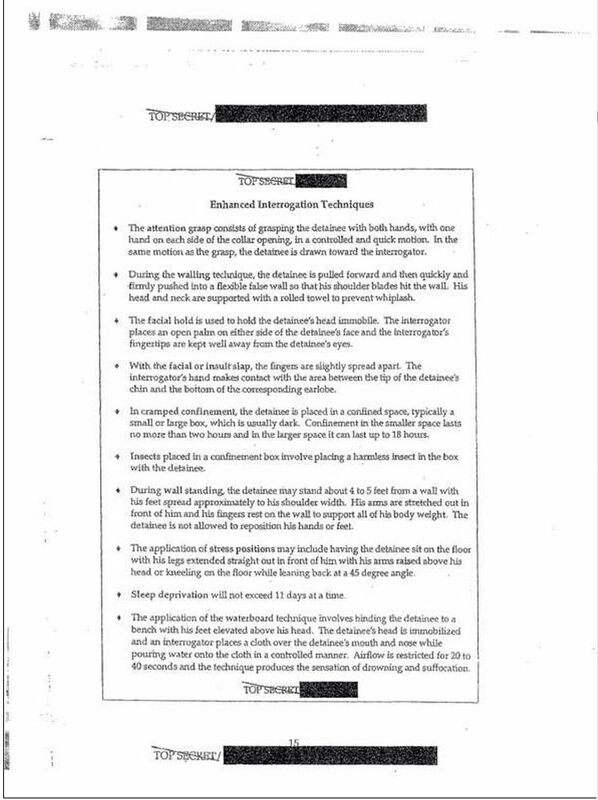 Information on US torture policies was not always available. 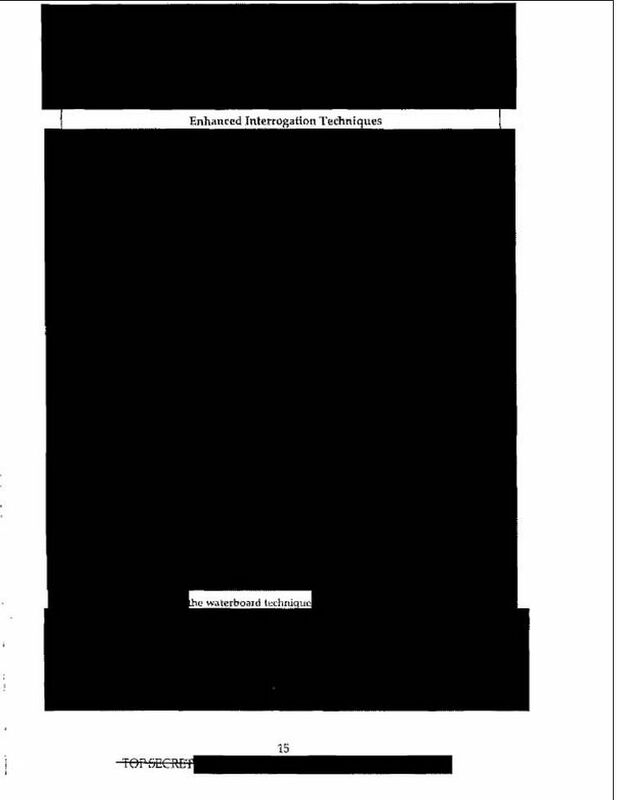 The Bush administration’s disdain for the public’s right to know can be summed up in one infamous page from its highly-redacted May 2008 release of the CIA’s Inspector General’s report on Torture Counterterrorism Detention and Interrogation Activities. Redacted to keep us safe. The Department of State has denied the release of this memo, citing the b(5) “Predecisional” exemption, despite Attorney General Eric Holder’s instruction to all agencies to use b(5) as rarely as possible. The “Zelikow Memo” –in theory– could have also been withheld under b(5); fortunately, its reviewer was more thoughtful in her decision. This withholding is all the more foolish considering that a leaked version of the “Taft Memo,” and its attachments, is available at the Torture Archive, and the New York Times. The Zelikow Memo provides further evidence that those who authorized torture did so knowing it was illegal –and chose to do so anyways. And got away with it. *An additional disclosure of documents previously withheld during the Bush administration were the “Saddam Transcripts.” In April 2009, the National Security Archive received a letter from the FBI stating that our FOIA request for information about the interrogation of Saddam Hussein had been “re-opened” due to the new Attorney General Guidelines for FOIA. This is the only time I have seen a “re-opening” of a case. Unfortunately, it appears that White House and high-level DOJ pressure to disclose more records has all but disappeared. **Yesterday, former CIA officer John Kiriakou was indicted for leaking information about the CIA’s waterboarding program to the press. The Obama administration has been much more eager to prosecute those that have exposed torture than those who have conducted it.